Carmel Geoghegan is an advocate and supporter of campaigns that keep the spotlight on Dementia and End of Life Care as a national health priority. Her priority is the development of practice and policies that respect people living with a dementia diagnosis. Carmel’s advocacy work stems from becoming the primary carer for her late Mum Angela in January 2011 after Angela received a late diagnosis of vascular dementia. Carmel experienced first hand the devastation that comes with a diagnosis, the loss of friends and family, the loneliness and social isolation that is a part of living with a diagnosis or caring/supporting a loved one with a diagnosis. Carmel hopes to help break down the stigma attached to a dementia diagnosis, she hopes to build better supports both on a medical level and at a community level. This will hopefully be achieved by bringing all sectors together to discuss the possibilities that may be available to explore by working together for a better quality of life for all. Carmel has been piloting a social enterprise ‘Dementia Ireland’ for the last number of years, through this initiative Carmel has facilitated workshops – bringing communities together to discuss how they can build a more inclusive society. Carmel has spoken to Local Authorities, businesses, active retirement groups, residential care homes and many others to engage with them and discuss how they can be more inclusive. Would you like to help support Dementia Ireland? 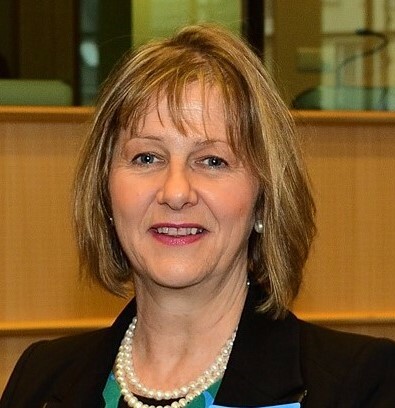 Carmel Geoghegan is an advocate and supporter of campaigns that keep the spotlight on Dementia and End of Life Care as a national health priority.